The Mantle and Shakespeare & Co. invite you to an exclusive event with two of Africa’s hottest writers. 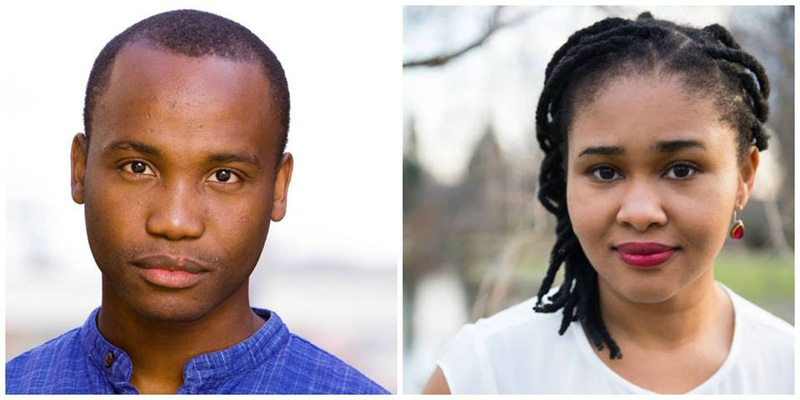 Donald Molosi (Botswana) and Chinelo Okparanta (Nigeria) will read from their latest work and discuss the integral role history plays in their work. Free and open to the public, but please RSVP on Facebook or by emailing corrie@themantle.net. Copies of their books will be available for purchase. We Are All Blue (The Mantle) is a collection of two plays – Motswana: Africa, Dream Again. and Blue, Black and White – by the actor and playwright Donald Molosi, including an introduction by Quett Masire, former president of Botswana. Read more about the book here and watch an interview with Molosi on CNN. “Gripping…Okparanta deftly negotiates a balance between a love story and a war story…through an undaunted Ijeoma, who in pursuit of seeking a fulfilling, joyful life gains an insightful awareness about the relationship between hatred and persecution – one that extends well beyond Nigeria’s borders.” Read The Guardian review and learn moreabout Okparanta.